1. Become a mentor—This is something that I had done in about the fifth year of my teaching journey. If someone would have told me then that in about eight years from now I would be coaching a whole school of teachers, I probably would not have believed them, however, here I am an Elementary Instructional Coach. Mentoring other teachers, novice and veteran, is a form of coaching. Mentoring is providing support to teachers, building relationships, collaborating, co-planning and much, much, more. If you haven’t been a mentor to a teacher and coaching is something that you see for yourself in the future, I suggest it for you. It will help you grow into becoming an effective coach and it will show you the benefits and challenges in helping another adult learn and grow. Although rewarding, it can be very different. 2. Become Team Lead/Grade Level Chair—Becoming a leader for a team can be overwhelming and stressful, but coaching at times can be too. 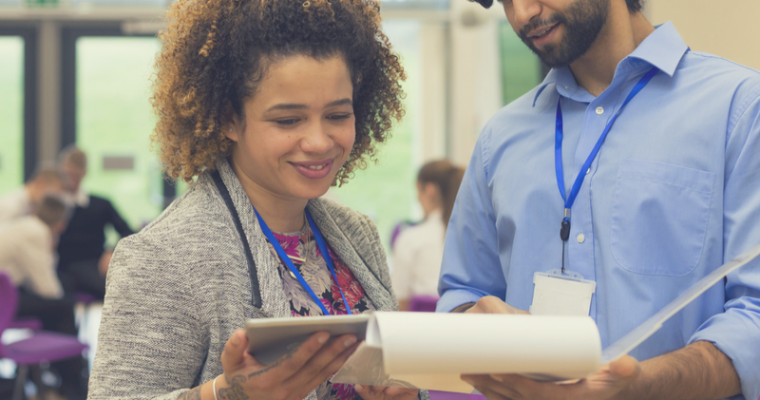 If you are thinking about being an Instructional Coach over a school or multiple grade level of teachers, you need to be ready to lead and support. The duty of Grade Level Chair is a great stepping stone in becoming an Instructional Coach. 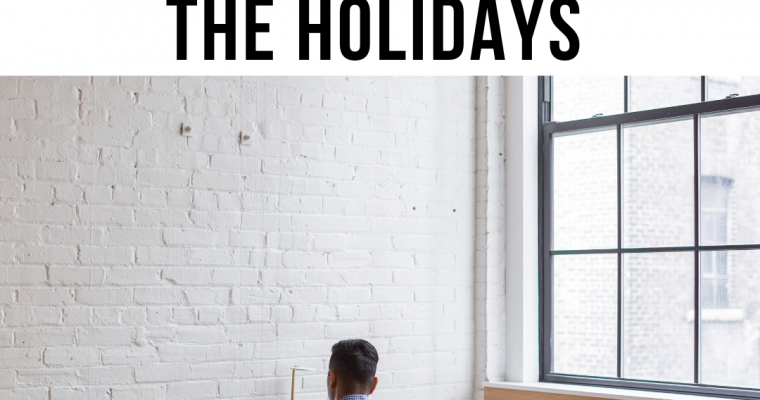 Here’s why—you are the liaison between your team and the principal. 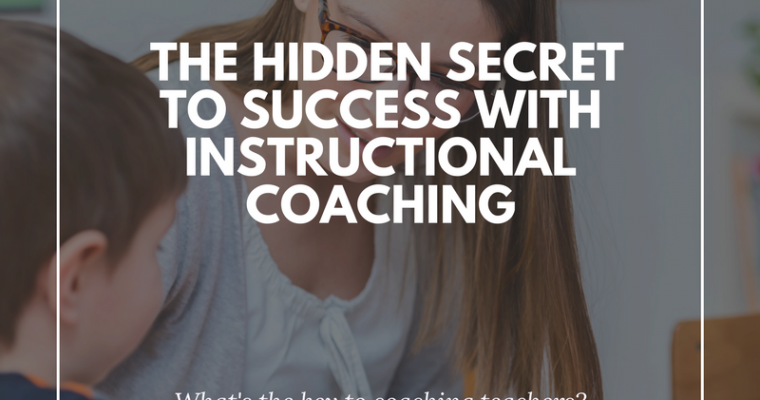 An Instructional Coach is also the liaison between teachers and the school principal. Becoming a Grade Level Chair teaches you to be a great communicator, provide support to your team members and lead/facilitate meetings as well. This job will definitely lead you in the path of becoming an Instructional Coach and teach you valuable skills needed in the future. 3. 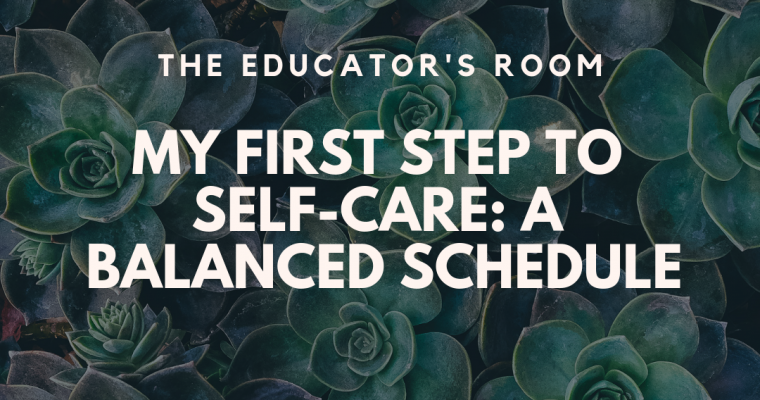 Become Engrossed in Professional Development—While I realize that as a teacher the acronym PD is not one that is on your list of favorite things to do. Being a coach, professional development will be an important part of your job. As a teacher who wants to be an instructional leader in the school, I would definitely jump on opportunities to attend professional development as well as opportunities to share learning back to the staff. If you do not like leading professional development, this is your time to practice. Yes, practice. It is one thing to get up in front of children and teach. It is a whole other ball game to stand in front of your colleagues, teach and provide professional development. You think the students are bad? Whew. Get in front of a group of teachers that think the professional development you are providing is a waste of their time. However, it is extremely rewarding when teachers want to learn and grow. The more you practice at this, the better you will become. One tip is to always be a learner and to allow yourself to grow as well. 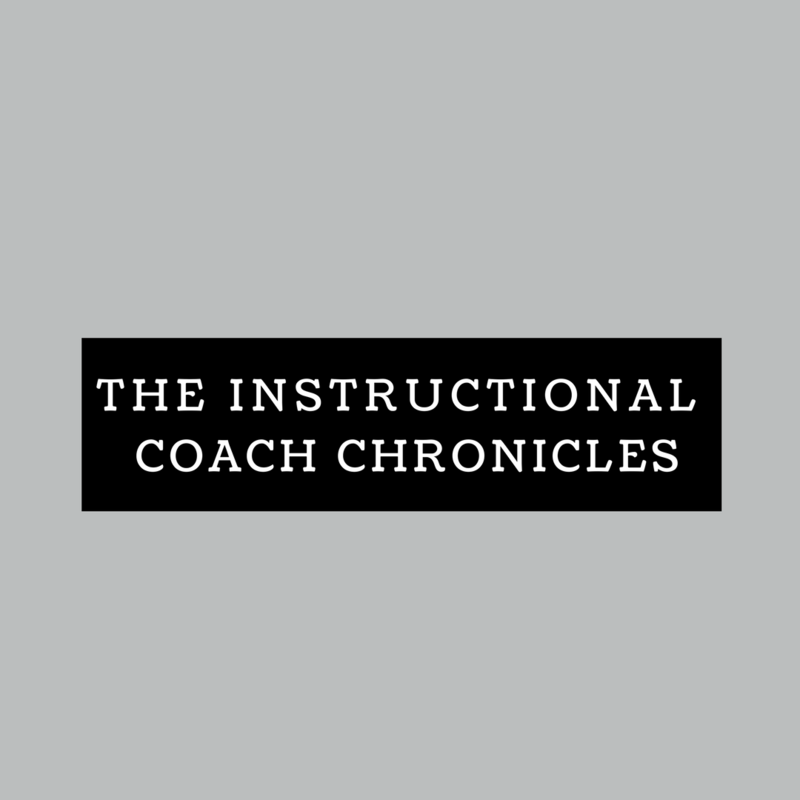 –The Instructional Coach Academy, The Many Roles of an Instructional Coach, What is an Instructional Coach?, What it is Like to be an Instructional Coach? 5. Become Open to Positions Being Posted—Around February or March, be open and on the lookout for positions being posted in your county and in the surrounding counties. You do not know what is out there if you are not actively looking. This does not mean that if a position becomes open that you will be ready to jump to apply. However, it gets you in the mindset of the possibility. I always tell myself, if it is for me, it is for me. 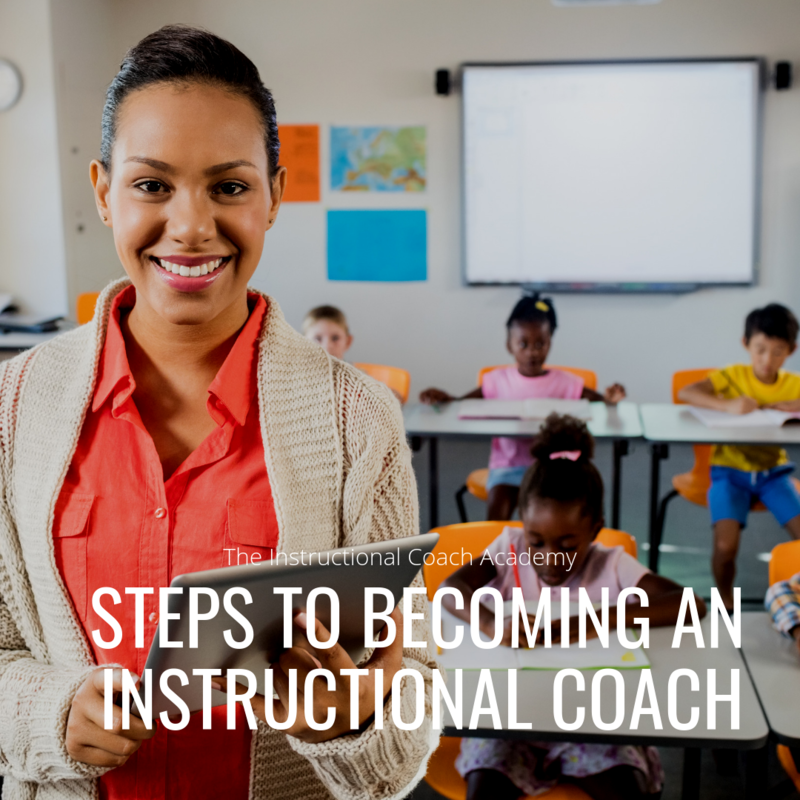 If it is your time to become an Instructional Coach and if after taking these steps towards this path, you still want to go for it, I say take the leap. What are you waiting for? Go for it! These five steps are merely just possible pathways into the role as an Instructional Coach. Does this look the same for every Instructional Coach? Of course not. But these are steps that worked for me and planted seeds for my growth as an Instructional Coach. Some of these seeds were intentional and others I might have needed a little push. I would like to say that this Instructional Coaching job fell in my lap—but had I not taken these leadership roles and opportunities, I would not be adequately prepared for this job. Make sure you are ready for the job. 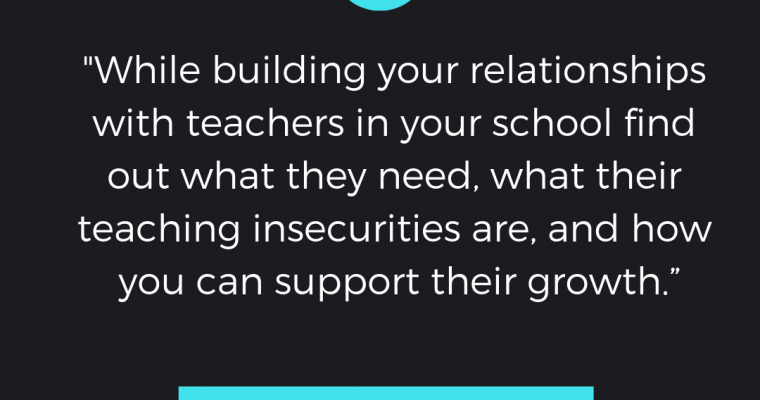 Prepare yourself in order to support teachers. Have you ever worked with a teacher who didn’t want to work with you -at all? I did and I promise it almost broke me mentally and professionally. All of our disagreements came to a head as we set in the office ready to have a meeting with the principal. Before I get to that, let me start at the beginning of the story. I was hired to work as an Instructional Coach halfway through the first month of school. So when I arrived, I was nervous, scared and hopeful that I could bring my previous work as a teacher into working with other teachers. Two days into the job, I had to run my first Professional Learning Community and go over the principal’s expectations for the team. Everything was going well and teachers were asking good questions until we came up to the line-When are lesson plans due? Before I could get the last of the word out Mr. Fox* interrupted me. Taken aback, I explained again what the principal wanted, but with that came 20 more questions about why Mr. Fox thought this was unfair. Obviously exasperated, he left the meeting vowing to meet with Mr. Cunningham to plead his case. I could tell by the look on all of the teacher’s faces that they were not amused by Mr. Fox and I immediately knew that he would be quite different to work with. Now, based on that interaction, you’d think that Mr. Fox was a veteran teacher, but no, he actually a second-year teacher who had decided that he knew everything there was about teaching history to high school age children. Upon observing his class, it was clear that there were issues- specifically around classroom management and instructional strategies, specifically, he lectured the entire class period and if a student didn’t do what he said at that moment, he put them “out” of the classroom. However, Fox decided he didn’t need anyone’s help. That belief posed a major problem with the vision of our principal Mr. Cunningham who had a clear instructional vision about the school that directly in contrast to how Mr. Fox operated his class. So for the next couple of months, I attempted to build a relationship with him, but to no avail. Despite his reluctance to work with me, I still had to visit his class several times per week and offer feedback and try to get him to embrace a more student-centered classroom. Nothing worked. He relied strongly on his summer training of teaching and recoiled if anyone suggested that he use anything other than the textbook. All of this came to head, after a visit from the state where they witnessed Mr. Fox demean a student because they didn’t have the right type of paper and lectured the entire class period. Immediately after the observation, I was called into the office and there was Mr. Fox waiting. Not knowing what was going on, I knocked on my principal’s door and he quietly opened the door and pointed for me to sit since he was on the phone. After about five minutes, he hung up and before I could ask him what was going on, he called for Mr. Fox to sit down. The next fifteen minutes were interesting- to say the least. There was a lot of tense moments with the principal laying out his concerns one-by-one and Mr. Fox sticking to his guns that everything he was doing was right. The entire time, I just sat in my chair and listened- this was not my meeting and despite what I personally felt about him, this entire exchange was awkward and unwarranted. In the end, the principal gave Fox and ultimatum- make your teaching more center-focused or his evaluation would show that. Begrudgingly, Mr. Fox agreed he’d work with me and we’d meet again in two weeks to reassess his progress. We all left that meeting feeling pretty ‘beat up’ but I couldn’t just go back to my office- I needed to have a follow-up conversation with Mr. Fox- not to beat him up, but to let him know I was really there to help him. During our quick meeting, I reiterated that as a second-year teacher it was normal for him to struggle and that if he needed help with what he had to do let me know. I left feeling better and I apparently he did also because later that night I received an email asking if he could meet with me during his planning to see how he could organize his planning better. Our work relationship got better once he realized I could help him and I did. He ended the year feeling much less like he had a target on his back and he even sent me a nice note thanking me for working with him despite his ‘bad’ attitude. While all of these situations are different, the one thing constant is the misunderstanding of the role of an Instructional Coach in a school building. In many schools, Instructional Coaches serve as part-time behavior specialists, assistant principals, substitute teacher, or worse the resident tattle tell. To make matters worse, due to budget and staffing concerns, many principals will make ANY teacher who’s not in the classroom their pseudo Instructional Coach. So despite a principal’s best intention to support their teachers, labeling a teacher an Instructional Coach because they don’t have a dedicated class is not only wrong but can be the perfect storm to cause a mutiny on staff. Think about the daily tasks that a coach has to complete- they not only observe teachers, but they’re responsible for delivering model lessons, following up with teachers who are struggling to deliver content, and ensuring that student achievement is moving forward. I’ll never forget when I was working with a school who’s achievement level was continually lagging. During one of my first trips observing the school, I noticed that the Instructional Coach was totally disengaged from teaching and learning. She focused her time on monitoring lunch duty, handling behavior issues, writing teachers up for being tardy, and a litany of tasks assigned by her principal. It wasn’t that we pulled the data on student achievement and compared it to his goals for the school that reality hit him- he wasn’t utilizing his coach to be effective. To help him turn his situation around and to support his coach with actually coaching, we had to start at “ground zero” with help in him understanding the coaching role and his coach understanding her role. 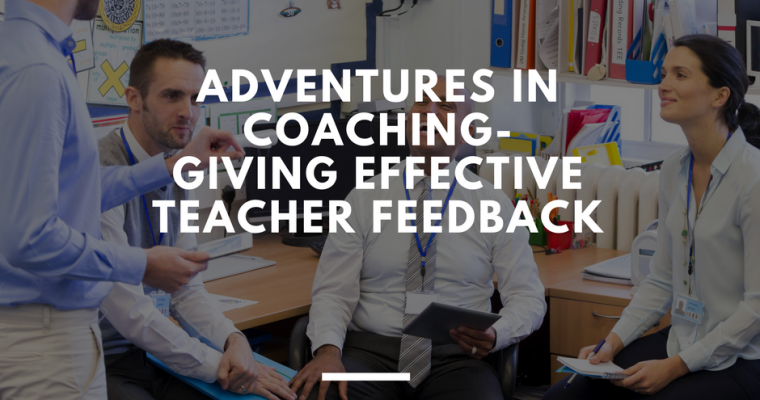 We started by explicitly outlining the role of the coach in regards to teaching and learning. We then moved into just rebuilding relationships around the building and using areas that teachers identified, working 1:1 with teachers to help them define their practice. That semester was hard for everyone involved and at the end of the year, the original IC moved back into the classroom and we were able to work with the principal to hire a coach who understood the role. So what was the lesson learned for all involved? 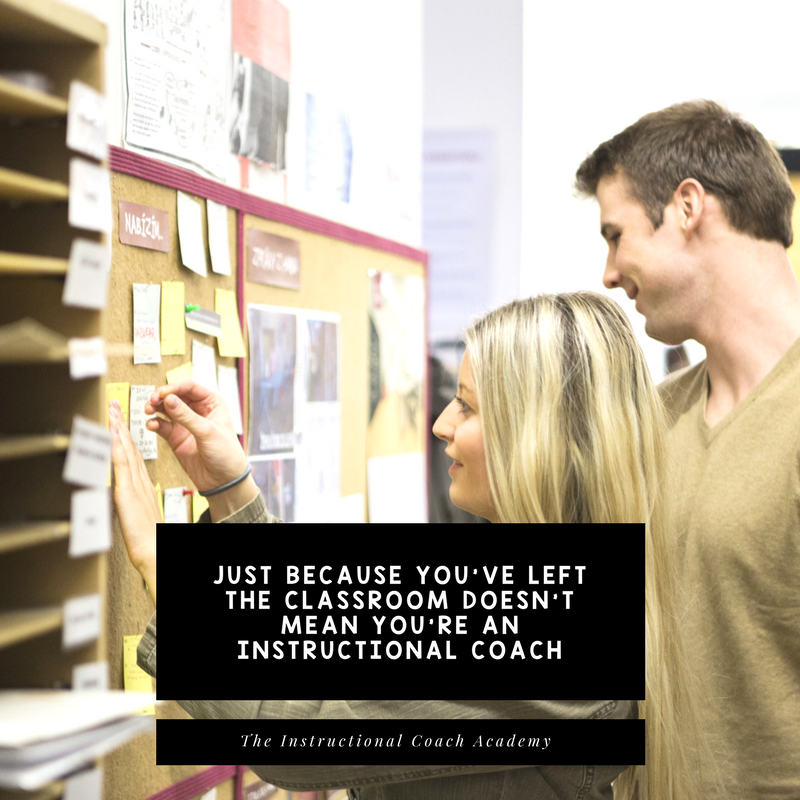 All because you leave the classroom into another role doesn’t make you an Instructional Coach.